These easy fit velcro fastening Ladies Diana Slippers have been designed to fit most feet. They offer a generous front opening for ease of putting on and removing. The velcro fastening allows for adjustment as the feet swell or reduce in size. 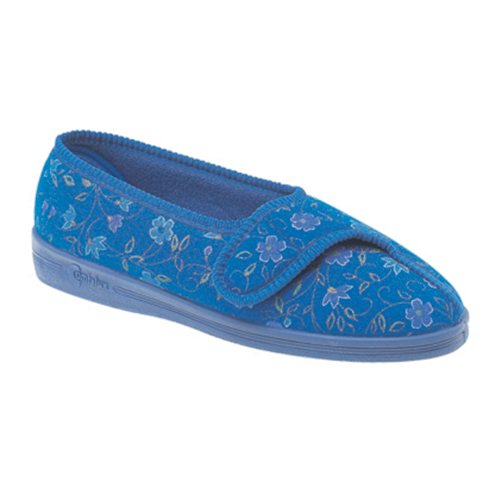 They are fitted with non - slip soles and are machine washable at 40c. They are available in the attractive Wine or Blue Foral pattern.